DETROIT, MICH - American Legion Department of Michigan State Commander Richard Chatman received recognition today from the Detroit City Council members Brenda Jones and Kenneth Cockrel, Jr. for being elected as State Commander, being the first African American State Commander in Michigan, and being a son of Detroit. GMA is in receipt of recent contract awards and has immediate need of three specific positions. GMA is an equal opportunity employer and operates a drug free work place. GMA offers competitive salary and benefits. Specifically GMA is looking for individuals who are committed to doing things right in support of our Warfighters; add value to the work place and work within a team environment. If you fit with these values, are a US Citizen and have demonstrated the skills necessary to fill the job postings provided, we are interested in talking to you. Why do we exclude some veterans from benefits offered by the State of Michigan and the counties? From 1946 until the fall of the Berlin Wall, the United States was in a constant state of readiness. Did the men and women who served during those times just show up for work? No, many of them served in dangerous locations where the threat of invasion from Soviet aggression was high. Were the MP’s and units station in Berlin, not at a constant state of vigilance. Did the US Air Force service members who worked at the bases, where fighter jets were on constant alert, not serving with distinction and ready to fight at any moment? How about the B-52 bombers, they had pilots and ground crew, sitting at the ready with nuclear bombs not at war? How much thanks do we owe the silo officers for the many days they spent in the silo’s, training and waiting for the call to launch, that never came? Michigan American Legion State Baseball Tournament AA Series will be held in Midland Michigan July 27th-July 31st, 2011. A Series Tournament will be held July 27th-July 31st, 2011 Adrian College. For more information contact the Michigan Legion at 517-371-4720 ext 16, mark@michiganlegion.org, or visit our website at www.michiganlegion.org. The site was developed as a resource tool for the Posts, Auxiliary, Sons of the Legion, and Legion Riders of our District. This was accomplished in following with the objectives set by newly elected Department Commander Richard Chatman at the Convention. We must embrace the great technology that is available to us today, so that we are better equipped to serve our veterans, our Posts, and the communities in which we all reside. Commander Chatman further emphasized that as Legion officers and members we must all be "United, Energized, Engaged, Enthusiastic, and Committed" to make 2011-2012 the best year on record for The American Legion. DETROIT, MICH - Members of the State House of Representatives and State Senate visited the Veteran Services Office and Veteran Affairs regional office in Detroit, Michigan on Tuesday. The members sit on the Military and Veterans Affairs subcommittee that oversees the grants allocated to the Veteran Service Organizations. Jason Allen, Senior Director of Veterans Affairs for the Department of Military and Veterans Affairs was on the tour as well.The tour was lead by VFW Service officer Toby Beanblossom and DAV Veteran Service Office Director Doug Wells. Doug and Toby led the tour through the 12 floor Veteran Services Organization Offices, down to the 11th floor where the VA's appeals are processed and then back up through the 13th and 14th floors. OKEMOS, Mich. — When the standoff began on a humid August night, it seemed destined to become one more case of a returned soldier pulled down by a war he could not leave behind. LANSING, Mich.,July 14, 2011 /PRNewswire-USNewswire/ -- Lansing Community College – after two years of planning – is set to launch a unique medical program that will give a well-earned boost to men and women who served as military medics. Previously denied classroom credit for their prior medical training, this special group of veterans will now be credited for their efforts as they pursue civilian medical certification and licensure. The program, dubbed "Medic to Paramedic," will welcome its first group of students in January. 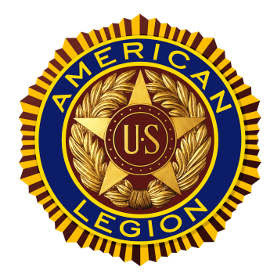 On behalf of The American Legion Department of Michigan thank you Legionnaires for your continued support of our preferred provider the Legionnaire Insurance Trust products and services. Our partnership has with this great company has provided the members in the State of Michigan a great product and in return the company supports our efforts to provide resources to continue our mission of serving veterans. Something USAA services cannot do. L.I.T the Department’s preferred provider since 1966This past April LIT presented the department a check for $234,113 which is used for our Veteran Service Office. Due to recent cuts in State of Michigan grant money to the VSO services, without this check we would be forced to eliminate the field service officers deployed in various locations throughout the state. Minneapolis, Minnesota is the gathering point for Legionnaires from around the country at the National Convention. The 93rd annual meeting will be held August 26-September 1, 2011 at the Hilton Garden Inn, in downtown Minneapolis. 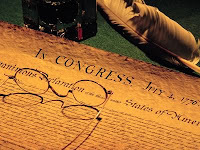 Registration must be submitted to the department headquarters by July 25th, 2011, you can find the form for 2011 National Convention Registration on our website www.michiganlegion.org under the “FYI” button. For information check out the National website www.legion.org/convention for more details. Don’t forget to register for the Michigan Party, to be held Saturday August 27th. A bus will be picking us up at 4:30pm at the hotel. Dinner will be on a cruise; we set off at 5:30 pm and return to the hotel at 8:30 pm, price for the party is $20. If you want to drive to the dock, please see Kim at convention for directions. The Department of Defense and Department of Veterans Affairs have identified the number one issue from the "Global War on Terror" is Post Traumatic Stress and Traumatic Brain Injury. These invisible wounds have been around since the creation of war. In World War I, it was called "shell shock", as time has passed and more wars have continued we now have clinical names for them or initials, PTS and TBI. The signature wounds of our day. Support the Legion Riders and the Legacy Scholarship Fund!! The Legion Riders will be rolling through Michigan on their way to the National Convention in Minnesota. They will be leaving Indianapolis on Sunday August 21st, heading north. 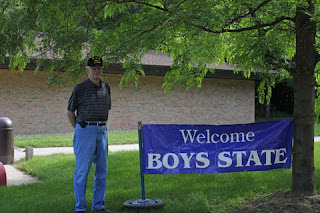 They stop in Fort Wayne, IN for lunch at 11:30 a.m., then leave for Charlotte American Legion Post 42 at 1 p.m. arriving about 3 p.m.
***POSSE UP POINT*** There will be a short rest period at Charlotte American Legion Post 42 between the hours of 3:00 p.m. and 4:00 p.m. Gas stop locations are not listed online in order to help keep spectator traffic low in these areas. Riders wishing to join the Legacy Run must do so at one of the “Posse-Up” points listed. Charlotte American Legion Post 42 is designated as a Posse-Up point and riders may join the Run at that location. During the year Legionnaires look for outstanding members of their community and recommend them for recognition. These are some of our teachers and other reward recipients. New Veterans Benefits manual has been posted. The Veteran Administration has posted the 2011 edition Federal Benefits for Veteran's, dependents, and spouses. WASHINGTON (July 07, 2011) - The Department of Veterans Affairs (VA) has embarked on a major initiative to reach out to women Veterans in order to solicit their input on ways to enhance the health care services VA provides to women Veterans. "We are taking a proactive approach to enhancing VA health care for women Veterans," said Secretary of Veterans Affairs Eric K. Shinseki. "We are seeking the input of women Veterans so that VA can continue to provide high quality health care to the growing numbers of women Veterans." Representatives at VA's Health Resource Center (HRC) are placing calls to women Veterans nationwide, asking them to share their experiences with VA and suggest potential enhancements that will further VA's mission to provide the best care anywhere. CADILLAC - Peter Brouwer of Cadillac got a little taste of what it’s like to be a police officer. This past week he and 48 other Michigan high school students were in Lansing, living the life of a Michigan State Police trooper-recruit during the annual Michigan American Legion Student Trooper Program at the MSP training academy. The American Legion Department of Michigan represents over 70,000 members in the State of Michigan. TheAmerican Legion was founded in 1919, based on “The Four Pillars”; veteran rehabilitation, Americanism, childwelfare, and national security and continued above all its mission as a consumers’ advocate for veterans. For more information contact the Michigan Legion at 517-371-4720 ext 16, mark@michiganlegion.org, or visit our website at www.michiganlegion.org. The American Legion Department of Michigan represents over 70,000 members in the State of Michigan. TheAmerican Legion was founded in 1919, based on “The Four Pillars”; veteran rehabilitation, Americanism, childwelfare, and national security and continued above all its mission as a consumers’ advocate for veterans. For more information contact the Michigan Legion at 517-371-4720 ext 16, mark@michiganlegion.org, or visit our website at http://www.michiganlegion.org.